Whether you’re the bride, the maid of honor, or a bridesmaid, when the big day comes, it’s going to be a long one. 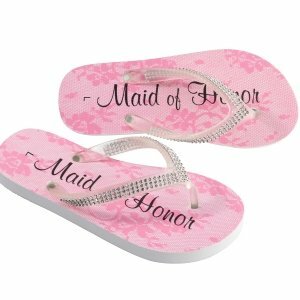 Make sure to keep your feet comfortable—and save the heels for later—by wearing the Bridal Party Flip Flops (3 Designs). Don’t spend all day walking in your heels, enjoy the wedding preparation in comfort and style with cute and stylish flip flops designed just for you, with your title printed on the bottom. 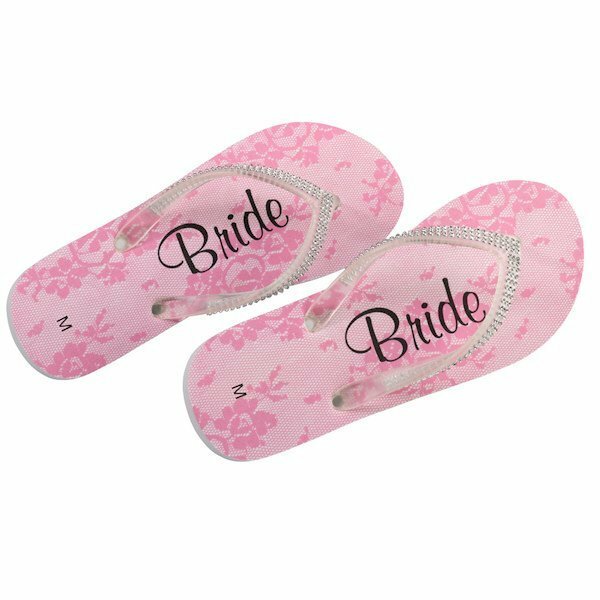 These flip-flops are also great to have on hand after the big celebration, to give your tired feet a rest from dancing in heels. 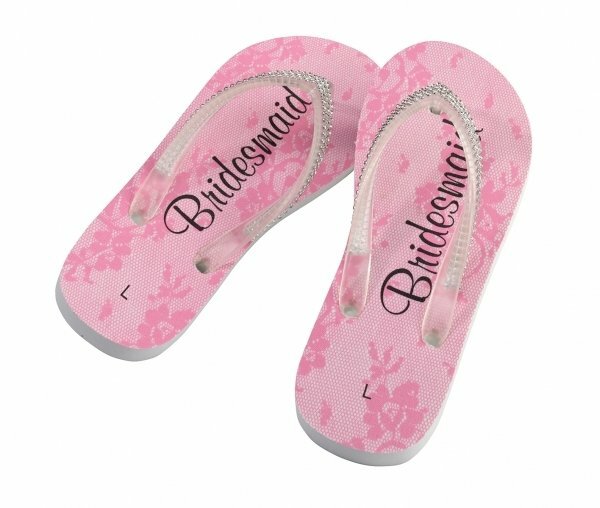 Perfect for the Bachelorette party as well!